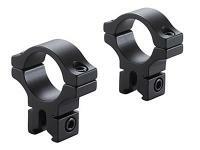 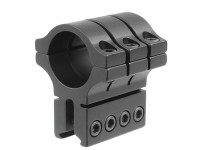 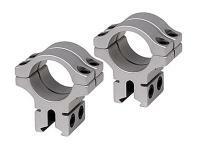 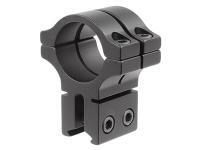 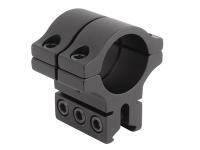 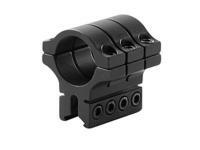 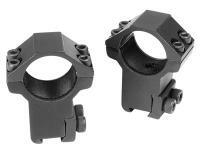 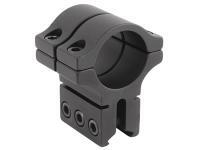 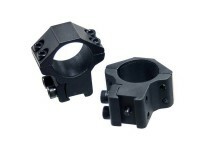 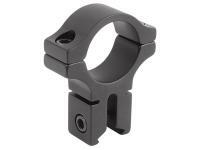 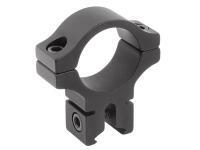 Leapers Accushot 1" Rings, Medium, 3/8" Dovetail, 2 Screws/Cap. 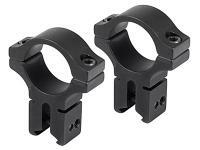 1" rings. 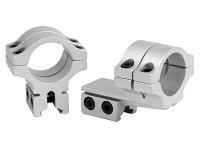 What others should know: Snug up one screw and move on to next one going around all screws with even pressure until nice and snug for whole rig. 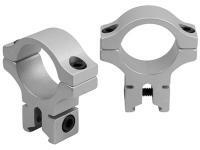 Do not over tighten anything. 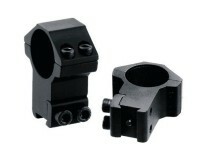 All will stay in place when nice and even snug of all screws. 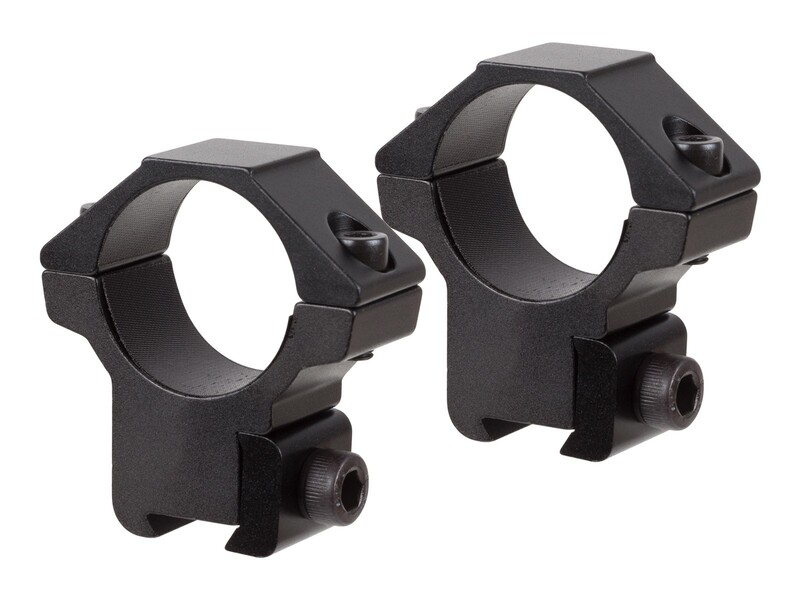 Things I liked: Worked as advertised! 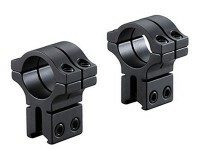 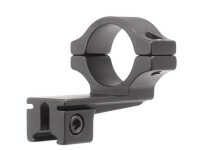 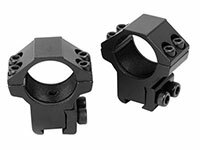 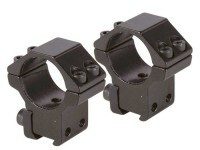 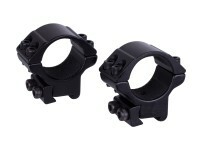 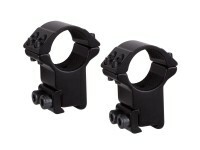 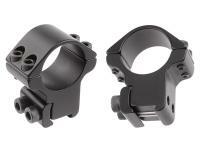 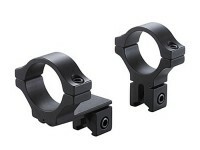 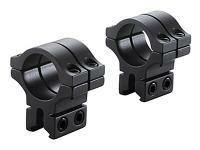 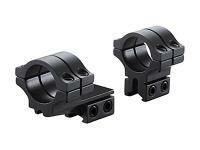 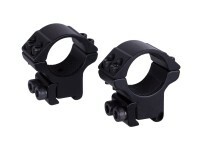 Will these medium scope mounts work to mount a UTG Bug Buster scope to a Marauder Pistol? 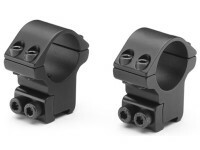 is there 2 in a pack ? 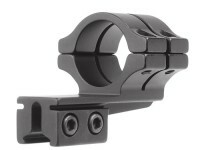 Can you back the stop pin out for use on a rail without a stop pin hole? Yes. 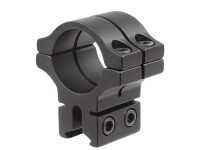 Scope stop use is optional.